Yellow crooked necked, white round patty pan and long green zucchini summer squash are at their peak as summer fades and fall brings cool clear nights with sparkling stars. Already, winter squash has appeared, that butternut and Hubbard and other yellow, brown, gold, green and white delicacies which cause summer glories to be forgotten in the orgies of fall feasting. It is not too late to gather those beautiful yellow crooked neck squashes. Carve a little Viking boat which, if you balance it right, can sail merrily in the bathtub. If you can find some, they are great steamed and served hot or cold. Steam with onions for aroma and taste delights. You can grate the tender raw yellow squashes into salads, or cut them in strips and surround with greens and reds for early fall salads. Have you noticed that yellow squash rarely have necks anymore, nor crooked necks at all. Well, there are old fashioned seed suppliers not swept away by modern efficiencies in the supply chain who still sell really crooked neck yellow squash seeds – just like in Grandmother’s gardens. Supermarket produce suppliers have mostly succumbed to the streamlining of the old fashioned crooked neck into what appears to be a yellow tubular zucchini. So it goes. But, do not despair. Get some seeds for next spring and ask your nearby cooperative farmers to grow some as well. Maybe the market is ready. Maybe it always has been. Who decided to get rid of yellow crooked neck squash and why? Genetic mutation? Yes, but by whom? For easier picking and handling? Of course, machines can pick hand sized tubular anythings and handling convenience is a major criterion these days. Taste and aroma have become secondary. None of the new tubular green and yellow squash things taste as good as the old fashioned genuine traditional hand-me-seeds-down-generation-after-generation warty irregular sized and shaped yellow crooked neck squash. Heirloom vegetables, actually heirloom cucurbit fruits like these deserve revival. What a name for a new veganic organic produce operation: Crooked Neck Squash Farm. Wouldn’t people come from miles around to buy such tasty produce? Time to save endangered squash varieties, save the species and save the genes. Who remembers those succulent white round scalloped patty pan squash which could be scooped hollow to make wobbly floating boats for bathtub navies? Remember Mom scooping out the seeds and stuffing them with breadcrumbs them baking them for ecstatic oven dinners? A little plant milk, maybe some lecithin, a bit of nutritional yeast, a pinch of kelp powder and dusting of dulse, mashed tofu or grated plant cheese, bits of bell peppers, wholegrain breadcrumbs, the squash seeds and pulp chopped fine, mix gently and mold into hollowed squashes, top the mounds with the cut out tops to form little caps, then bake with a little water in a covered dish – let steam do the cooking for about half an hour. Succulence supreme. And such good old days can be resurrected if seed sellers and growers will return these old fashioned squashes to the marketplaces. Snoop around, find senior gardeners and small-scale produce growers, call seed purveyors and ask county agents where to locate seeds. These marvelous squashes deserve new attention. Somewhere in the world, somebody is still growing white round scalloped patty pan squash. IPBN searchers are on the march looking for a seed supplier with stock. Thank goodness for zucchini. These rich green tubular squashes are versatile, and then some. Make a bathtub armada of hollowed out squash boats with these. Scoop out, refill and bake. Roll slices in plant milk, lecithin, breadcrumbs or cornmeal and bake golden rounds. Dice and cook with dried and green beans, tomatoes, garlic, onions and potato chunks into Italian vegetable soup – minestrone. Toss in corn, bell pepper bits for Spanish sopa dia or French soup de jour. Add okra and a little sassafras powder for West African-Caribbean-Creole stewed gumbo. Slice or chop a mess of zucchini and mix with other garden bounty into a deep dish baked casserole. Nowadays side-by-side green and yellow zucchini are marketed throughout the warm seasons. Mix both colors on a lovely platter of steamed squashes. Puree zucchini for a gravy or topping over mashed potatoes and breaded soy meat cutlets. Thin puree with water and call it soup. Zucchini breads and cakes are nutritionally boosted wholesome fare. Grated squashes can be blended in scrambled tofu. Grated zucchini and onion with a little arrowroot powder or cornstarch make excellent small pancakes and nutritionally enrich large flapjacks. Kubota squash developed in Japan and have become relatively popular elsewhere. They are mild, appealingly yellow with green long axis stripes, store conveniently, are handily small meal size and steam quickly. How about Hubbards, those huge blue-gray warty monsters that taste just fine and store well into winter? Chunks may be dried for long storage and used in nutritious soups and purees, steamed they are heavenly. Try the long slender twisted tube squashes which slice thinly for salads and soups and steamed are delicately delicious. Butternut squash steamed in their skins are fine entrées whether stuffed, spiced or eaten plain; and pureed they make excellent soup. Acorn squash halved and steamed or baked are delicious alone or may be flavor enhanced with allspice or cinnamon, ginger and cloves. Fiber and mineral rich, squashes are vitamin storehouses, tasty and versatile as entrees and appetizers. Use tender young leaves as wrappers for fillings. Chop squash flowers into soups and salads for a nutritional boost, battered and baked squash flowers are a supreme delicacy. Puree squash fruits for pates and soups. Hollow, fill and steam bake large squashes. Cut squash into strips and discs for steam fry dinners. Roast squash seeds and eat as snacks or sprinkle on salads, soups and entrees. Squash slices are chips for dips. Eat squash fresh, grow or buy local production and strive to produce or purchase veganic organic squashes whenever possible. Take advantage of simple squash cultivation – grow a few plants in pots on the patio, enjoy the leaves, flowers and fruits from early summer into fall. Consider growing squashes on trellises attached to clothesline posts. Squash love growing on fences. They thrive among other edibles such as beans, corn, dahlias, marigolds and roses. Few foods are cheaper, none more versatile. No wonder squashes have been integral in every significant civilization, celebrated in art and often honored as symbols of fertility. Around a long while, squashes are here to stay. There is literally no end to squash cuisine possibilities. Good to eat and wholesome, squash cuisine deserves recognition. Squash are survival foods. In America, from early summer through fall, yellow and green and sometimes white squashes are available. Restaurants should feature these every day during the warm season. These summer squash are tender, their fruits grow quickly, and they do not store or ship well. Pick and eat them quickly. The best are tiny well formed beauties. Eat small squashes whole and raw, grate and slice for salads and soups. For variety, lightly cook tender summer squash by steaming or baking. It is a shame to overcook squash as they are designed to be eaten fresh from the vine. Squash seeds baked are exquisite, roasted divine. Squash slices are great for dipping in salsas, tahini, hummus and other lentil and bean purees. Lightly grilled, roasted squash slices make unforgettable sandwiches and decorate dinner plates festively. Just don’t boil squash, not even with an onion and never with salt. Egads. Generations learned to dread squash when fed watery gray remains of former squashes cooked to death and floating hauntingly in murky water under surface grease droplets. Remember school lunch squash? Disgusting and a total shame. Squash deserve great respect. Squash have served human nutrition over thousands of years. These ancient sacred cucurbits are beautiful, prolific, nutritious and versatile. Surely they are purifying. Not to eat squash regularly is sad, not to like squash is sadder. Give squash a chance to nourish. Celebrate squash often. Summer squash is grand. Winter squash are too. Squash are always good. Consider the magnificent form and storability, deliciousness, beauty and nutritiousness of simple humble butternut squashes. Acorn squash deserve to be considered essentially the same. And chunks of Hubbards, delicate Kubota’s are similar. A squash is a squash is a squash. They are all good. Baked or steamed and whole, halved, quartered, sliced, diced or pureed, these heavenly golden squash warrant inclusion on every menu and regularly. Where better to get beta-carotene and fiber? Cooking transforms starches to sugars and explodes appetizing aromas. Tarry not, rather cook up a batch soon. Dust with cinnamon or allspice, drench with agave nectar or maple syrup, whip with pecans or walnuts, just keep several on hand in the pantry and serve often. Squash puree serves well in raviolis, as sauce over pastas, as hot or cold soup, and in gourmet plating both below and atop entrées to add exciting color, aroma and taste. Basil and all the other mints enhance squash dishes, so do the various black peppers and other spices. Squash are not alone. They are just one of the types of cucurbits, many others of which are also edible from seed and root or stem, leaf, flower and fruit. Cultures name cucurbits differently, but everyone is likely to know the differences between gourds, melons, cucumbers and squashes. In ancient times most of these varieties were lumped together as pumpkins, a generic term used in modern America to identify a particular orange spherical winter squash fruit. As for gourds, they make useful storage containers, dippers, bowls and trays as well as scrubbers as in the case of the fibrous plant sponge termed loofa. Of melons, nothing needs to be said except they are fantastic foods with the Asian winter melon varieties sharing some of the cold season availability and storage qualities of winter squashes. Cucumbers are crisp delicacies almost always used fresh and cold in America, yet steamed and baked in Asia and perhaps elsewhere. Big-leaved cucurbits are subtropical fruiting vines which can be trellised up walls and porches to provide protection from heat. In a garden, a cucurbit vine can usefully camouflage a rotting stump while flowering generously and providing useful fruits. Grown too big for whatever reason, all cucurbits including squash fruits, vines and roots will happily enrich any compost. And, like squash, other cucurbits may also be hollowed to serve as vessels in bathtub navies. Those too advanced for such playthings might boil pots of squash plant leaves, fruit rinds, flowers and pollen to provide dyes for costumery just like ancient people did in preparation for revelry and celebrations at which they ceremoniously and gladly served lots of various squashes. Squash are royal foods. Squash eaters demonstrate how easily the planet can be saved and life enhanced for everyone on spaceship earth. Good eating. Squash are here, now, tomorrow and forever. The Decas family of Massachusetts is harvesting another great crop of cranberries this year. New England bush rubies. Let uphill inlanders make maple syrup and mid-altitude farmers with a little flat ground or gentle slopes grow barley, buckwheat, corn, flax, oats, wheat and other grains, mill them into flours for pancakes, johnnycakes, corn muffins, cookies, cakes and breads. Leave the field vegetables, bush and tree fruits to growers with just the right soils and water, sunlight and airflows. Blueberry growers, high and low bush know their specialty and deliver bounteous crops for consumers. Hardy seaweed harvesters know their coves and tides, drying beaches, direct sale and distribution channels. Veganomics rules these food producers and among them are those bush ruby cultivators like the Decas family and crews all around the tidal edges of New England and downcoast past New Jersey. Lowlanders with marshlands know their cranberries and depend on these native American bog fruits for their livelihoods. As PBN reported last Fall, cranberry growers have either produced too many or consumers have purchased too few. The federal government bought tons of cranberries for school, military and prison foodservice. Tons more were bought and donated to charities which feed and distribute surplus commodities to low-income people. Cranberries freeze well, process well in tins and jars, and they dry beautifully – can be stored for years. The Fall 2001 issue of Plant Based Nutrition presented what was believed to be the longest most comprehensive set of simple cranberry recipes ever. A few other journals also featured cranberries and a pile of recipes has accumulated over these past 12 months. IPBN volunteer staff have eaten more cranberries in more forms than anyone on the team had ever before consumed. Some fascinating recipes have been developed which work well consistently and have invigorated IPBN volunteer taste testers. Try this example. Dice an apple, mix with whole or chopped nuts and Veganaise or Nayonaise or homemade tofunaise. There is your standard apple salad for one. For two, use another apple or add a pear if available and affordable. Walnuts and almonds serve nicely, so do pecans and hazelnuts, but peanuts too will do. Tart crisp apples are best. Alas, nobody has Cox Pippins anymore, Granny Smith, though, comes close. Apple cider vinegar? Lemon? Lime? Sour salt ascorbic acid. Choose whichever sour you prefer at the moment to add tartness and further load up the vitamin C. As you like, add hot cayenne or mild paprika red pepper powder. Maybe a little Maine Coast Sea Vegetable kelp or dulse flakes, though most any seaweed will serve fine and send the essential trace mineral content skyrocketing upward. Now for the coupe de gras. Sprinkle in a little Decas Dried Cranberry Powder to tint and flavor the mixture. Add as little or as much as you like. That’s it. Par excellence. The prettiest, tastiest, healthiest apple nut cranberry salad you ever saw and ate. Make it often. Sprinkle ground nuts atop. Dust a little stripe of nutritional yeast flakes decorously. Sometimes throw in sweetened or unsweetened dried cranberries. Cranraisins. Grape raisins. Blackberries. Blueberries. Red and black currants. Mulberries. Try adding a little dried, or blotted dry canned or fresh pineapple for a change. Mandarin oranges. Clementines. Serve on lettuce or whatever green leaves are in season. Yes, even kale and collards are delightful contrast under this pretty pink paradise mountain. Chill as you like, best is fresh made from chilled ingredients. Serve plenty and often. Throughout fall 2002, IPBN will collect cranberry recipes and consider issuing a little vegan cuisine cranberry delights recipe booklet, maybe in the format used in the explorer series of cook booklets, or key a batch of them into the website: www.plantbased.org. Meanwhile, everyone ought to be eating as many cranberries – and other berries – as possible. Put them in cereals, baked goods, revive the arts of cobblers, fruit dumplings and strudels using fresh, frozen, dried and powdered cranberries at every opportunity. Elsewhere in this PBN issue, review the recent research report on cranberries as super nutrients. Obtain a copy of the full research report and share it with your healthcare providers. They need to know. Yes, blueberries are fantastic and everyone ought to eat some every day. Black currants too. At least a cup-of-berries-a-day are likely essential for optimum health both short- and long-term. Don’t give cranberries short shrift, they are splendid nutritionally, extremely versatile, look and taste wonderful. Now, where to get cranberries! More and more cranberry products are available in supermarkets and health food stores all through the year. You may want a variety of cranberry products in a large batch at a best price and conveniently shipped to your door. If this is the case and you are willing to invest $25.00 and up for a goodly supply, contact: Joan Bussdicker, Decas Cranberry Products, Inc., 219 Main Street, Wareham, Massachusetts 02571. TEL: 800-649-9811 or 508-295-0147 FAX: 508-291-1417 EMAIL: paradise@ultranet.com. Tell her IPBN informed you. 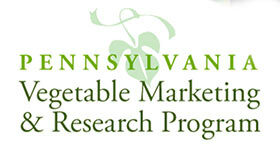 Request current cranberry research reports along with your order. Try the sweetened dried and powdered forms of cranberries, Decas specialties. Family business veganomics at work. No matter where you get them, eat cranberries. Plenty and often. Keep a stock on hand. Request that USDA commodity surplus cranberries be ordered and used in local school lunch and other federal feeding programs. Pass the word: cranberry bush bog rubies are superfoods. Four food chemistry researchers have a study of antioxidant “free and bound phenols” available in “20 fruits commonly consumed in the American diet.” They completed this important work and report in August of 2001. Collaboratively, at the University of Scranton in the United States and University of Wroclaw in Poland, these researchers studied phenols, antioxidants, fruits and lipoprotein oxidation. They operated on the research established premise that “Consumption of fruits and vegetables is associated with a lowered risk of cancer and cancer mortality.” They measured phenols “colorimetrically using the Folin Ciocalteau reagent with catechin as the standard after correction for ascorbic acid contribution.” According to these researchers, “On a fresh weight basis, cranberry had the highest total phenols [676 mg/1006], and was distantly followed by [banana 335 and] red grape . Free and total phenol quality in the fruits was analyzed by using the inhibition of lower density lipoprotein oxidation promoted by cupric ion….” They report that “ Fruits, specifically apples and cranberries, have phenol antioxidants that can enrich lower density lipoproteins and protect them from oxidation.” This report is copyrighted by the American Chemical Society: Joe A, Vinson, Xuehui Su, Ligia Zubik, and Pratima Bose, “Phenol Antioxidant quality and Quality in Foods: Fruits,” Journal of Agricultural Food Chemistry. 2001. Volume 49, pages 5315-5321. Primary researcher Joe A. Vinson is accessible at TEL: 570-941-7551 FAX: 570-941-7510 EMAIL: vinson@uofs.edu. Get ready now. Commit to veganic organic gardening and farming before the next growing season begins. Soon, garden supply catalogs will be arriving in the northern hemisphere, they are already being printed for Winter mailings. Spring 2003 will be the sixth for IPBN DEMONSTRATION GARDENS in America and hopefully the biggest expansion of interest and involvement yet. Here, digested, is what has been learned. It is time again to consider basics. Raised beds: Two foot high raised soil beds framed with untreated lumber, logs and limbs, poured concrete, bricks, stones, metal, or just bounded by angled scooped earth are conducive to excellent food plant growth, soil management, disease and pest management, fertilization, aeration, irrigation, harvesting and replanting. Something there is about raised beds that plants like. Over the years it seems that two foot wide growing beds serve well, but four feet wide beds may be preferable where there is no framing but earth and where sprawling and wide plants are grown. Some raised bed frame designs will support low-tunnel covers for frost protection, vertical posts and stakes and trellising as well. Positioning raised beds to take advantage of the local patterns of sunlight can increase harvests. Intensive cropping is possible with raised beds which facilitate loose soils, interplanting, dense planting to provide cover leaf canopy to minimize and prevent weeds from becoming established. Soil temperatures in raised beds can be controlled to a considerable degree to maximize plant growth. Generally speaking, raised bed soils will warm up more quickly in spring and cool more slowly in Fall – where there are these seasons. Easy harvesting is a major benefit of raised beds. When set up parallel with one to two foot walkways between them, a board can be laid across the path to provide a convenient mobile seat for planting, weeding and harvesting. Physical handicaps can be accommodated by elevated raised beds which can bring the edible plant crop up to any altitude desired by the crop tender. Soils: Soilmaking is easy. Simply decide what will be grown and then build an appropriate soil matrix for the chosen plants. Soil is a blend of sand, clay, humus and minerals; living soil must contain beneficial enzymes, bacteria and fungi along with invisible (micro-) and visible (macro-) creatures, friendly beetles, earthworms and millipedes being examples of the latter. Composted nitrogenous (green) and carbonaceous (brown) plant matter along with minerals produce living communities of bacteria and fungi which splendidly support plant growth when incorporated as the humus in soils. Macro-algae seaweed in composts and mulches can be beneficial. Edible roots and tubers prefer sandy soils. Large stalk and heavily fruiting vining plants need clay for their extensive architectures and humus to hold water reserves for their rapid growth. Root wrapped soil particles and small stones anchor plants. They also provide mineral sources for micro bacteria and microfungi which bind and feed roots while simultaneously growing in and out of both to function as living interactive microscopic pipelines for nutrients to feed the host plant. Soil fungi and bacteria accumulate nitrogen, die, and are eaten by protozoa which then excrete the nitrogen in forms fungal mycorrhizae can absorb and pass into plant roots. While soil scientists can name thousands of sub-microscopic and visible ingredients and participants in living soil and describe some of the infinite plant-soil interactions in terms of chemistry, physics, geology and astronomy, suffice it to say that plants are incredibly complex living organisms perfectly in tune with the universe and observers and analysts can only partially explain why and how plants grow. Divinely inspired plants know exactly what they need as well as when to extract it from living and decomposing soil complexes, air, water and electromagnetic fields. Compost: Forests self-renew by recycling lifeforms continually through composting processes on and in the ground. Rotted plant matter blends with minerals below, decayed roots and carcasses of microscopic bacteria, fungi and insects to make primordial living compost. Following this example, humans can manufacture all the compost they need for gardening and farming where there is frost free dry land at least several months. Nature creates compost which is live interactive humic matter rich in beneficial bacteria, fungi, protozoa and eager host to beneficial insects. Forest compost is cool, but humans make hot compost by mixing green and brown plant matter, enriching algae and minerals, then letting this raw material cook, perforating it to aerate, and turning it periodically to churn the mass inside out so as to transform all parts uniformly. Compost can sterilize diseased residues, decompose weed seeds, and reorganize the chemistry and biology of whatever materials have been brought together so that eternal lifecycles can begin anew. Compost looks, feels and smells good. A little compost in the soil will produce great benefits. It is also a splendid mulch. Soaked in water a few days, sloshed and stirred to aerate, it makes a nutrient tea for plant roots and leaves which can feed beneficial bacteria and fungi while discouraging those unfriendly and maybe predator insects and eggs. Composts and their teas may also be antiviral and assist in deterring and managing viral diseases. Plants need sunlight, water, oxygen, carbon dioxide, nitrogen, phosphorous, potassium, calcium, magnesium, iron and essential trace minerals in order to thrive. Helpful as composted soil can be, edible plants can be grown veganic organically both hydroponically and in sand if their nutritional requirements are met by the feeder medium. Imitative of natural tree (fungal dominant) and grass (bacterial dominant) forests, enriched humic matter may be integrated into soil through sheet composting – letting plant matter decay on the surface of the ground, and by growing legumes or cereal grass green cover crops to loosen and nourish soil. Such strategies help myriad resident lifeforms including earthworms, beneficial nematodes and protozoa along with bacteria and fungi to enrich soils. Most edible plants prefer neutral soils pH 5.5 – 6.5, but artichokes prefer alkalinity and blueberries acidity. Mulches: Covering soil around plants is nature’s way. Nature abhors open ground and will quickly populate it with so-called weeds. When growing edible plants, hay, straw, seaweed and compost are excellent mulches. Too much mulch is disadvantageous, laid too thickly it can set back plant growth. Shallow mulches let sunrays heat cold soils by day and lessen heat loss at night. Deep mulches thwart weed growth and can minimize disease transmitting rainwater splashing which carries disease bacteria, fungi, viruses and predator insects from soil to leaves and stems. Mulches moderate soil temperature and humidity, holding ground heat to radiate upward when air is cool. Mulching is art and science useful in veganic organic plant growing. Slowly decomposing veganic organic mulches are sheet composts steadily feeding soil and plant roots below. Reeds, sawdust, woodchips, paper, fabrics, foil and plastic sheeting can be used as mulches beneath plants. Metalized polyvinyl under plants reflect light upward into the leaf canopy encouraging growth, coloration and ripening of fruits. Research on reflective mulches indicates relationships between their color and effects. For example, red mulches can benefit tomatoes. Silver, white, black, green, blue and red mulch sheeting have positive effects. Black plastic sheeting has proved to be a useful mulch for growers who plant in punched holes, irrigate and fertilize through tubing below. Plastic sheeting is antibacterial, thwarts insects and disease migrations and may be organic. Plastic sheets can be used to sterilize soils with solar radiation. Fertilizers: Composts and ground rock powders suffice, earth contain every chemical needed. The hospitable blend of cultures which make the Pocono Mountain region unique welcome strangers and offer them all both preferred and plentiful food selections. In supermarkets and restaurants, large hotels and small cafes, vegan food preferences are known and respected. What was once a sparsely settled treed plateau and hill region west of New York City, north of Philadelphia, south of Elmira and east of Scranton, has become a vast suburb of pocket developments nestled unobtrusively in niches where flat land can be found between cliffs and valleys. The terrain is dramatic, and always will be because much of it is too steep to allow any type of building or farming. Realtors say “there are only four or five more years until all the lots will have been used up.” They are scarce already and this is Pennsylvania’s “fastest growing region.” Nearly 200 years ago an engineering marvel of cable suspended bridge troughs made up the Delaware and Hudson Canal which was a 19th century American version of Roman aqueducts designed to transport Pennsylvania’s anthracite coal to New York City so that , with the addition of Bethlehem Pennsylvania steel I-beam struts for skyscraper construction, Henry Hudson’s cheap bought islands could become the world’s greatest city. A family homestead commuter’s haven with excellent major highways east and west and closeby train connections is just across the Delaware River at Port Jervis, New York. This exciting four season region was the site of the earliest “conservation” programs of the United States Department of Agriculture Forestry Department founded by Gifford Pinchot, a hero on Teddy Roosevelt’s restore and save wild America team. Wonderful small towns, every one with a fascinating historic, cultural and economic history. Intriguing remnants of every century past in people and architecture and other remains. Antique stores everywhere. Old and new bookstores. America’s first railroad train and last stage coach route – George “Gabby” Hayes was a driver until 1916 when Hollywood called him west – were here where a smalltown dentist named Zane Gray chronicled the west in a series of books which helped develop American Dreams. Resorts have become hometowns. Lots of small farms grow everything possible outdoors and under cover. A great place to visit and live. Diverse and optimistic, Pocono people are moving up in every way and lack nothing worthwhile. They have it all, clear skies and clean air. An opportune vegan education frontier. Number One in terms of maximally healthful, freshness and beautiful foods is Simon Nehme’s traditional Lebanese cuisine at CEDAR’S MEDITERRANEAN GRILL on Route 447 at 234 Eagle Valley Mall in East Stroudsburg, Pennsylvania 18301. TEL: 570-424-6401. Here a US$5.95 all-you-can-eat lunch can provide 16 freshly made vegan dishes including falafel, tahini, hoummous, babaganouj, eggplant salad, string beans, lentils and rice with onion, white rice, bean salad, stuffed grape leaves, fava bean salad, tabouleh, green salad, potato salad, roasted potatoes, and pita bread. There are sandwiches, made as you please. And dinnertime provides a formal dining atmosphere in which US$7.95 Vegan Platters provide any three entrees one selects with a generous bowl of lentil soup at US$2.95. Next door, Simon runs the Mediterranean Deli which offers a selection of Middle East delicacies. Open seven days, Simon also caters events from weddings to funeral dinners with graduations, bat and bar mitzvahs and reunions. (Someday maybe vegan desserts such as Pennsylvanian Maple Walnut Baklava…something to think about.) Nice as can be, this is a sweetheart family business with an outgoing warm friendly staff. In the heart of the Poconos. CEDAR’S GRILL IS AN IPBN FIVE STAR ***** VEGAN FRIENDLY RESTAURANT, DELICATESSEN AND CATERER . Number One in terms of authentic Asian cuisine true to Thai traditions is the Pruettipun family’s SAEN RESTAURANT off Route 209 and Buttermilk Road at Shawnee Square, East Stroudsburg, Pennsylvania 18356. TEL: 570-476-4911. Here a US$5.95 lunch can provide lemon grass soup or small thin long spring rolls along with any of a dozen tofu-centered entrees including green curry and rice noodle based pad thai. To any appealing menu description, “tofu may be substituted.” The dinner menu is extensive and chefs are accustomed to vegan diners with specific ingredient requests. Caringly prepared, beautiful and delicious. Not inexpensive. (Someday maybe vegan desserts such as Bangkok style mango with coconut cream and black sesame seeds on sweet rice.) Outstanding Thai tradition décor displayed as in a museum. Excellent friendly staff, many if not most are family members, cater attentively and warmly to every diner. The Pruettipun family, Mon Saen, Ded Boon and all-American son Charlie – an East Stroudsburg University business administration student, give their best and draw crowds of appreciative satisfied smiling diners. Catering for any event in the region. In the heart of the Poconos, SAEN RESTAURANT IS AN IPBN FIVE STAR ***** VEGAN FRIENDLY RESTAURANT AND CATERER. WORLD’S BEST 100% VEGAN TOOTHPASTE? When a vegan chemist makes a toothpaste based on current scientific research and long-term ethical commitment, at least a friend ought to try it. Resistant and skeptical, IPBN volunteer staff bought a tube and let it sit a year, two. Better it had been used because when finally the long used calcium carbonate chalk and herb based home supply ran out and the vegan chemist’s toothpaste was used it performed wonderfully. What a shame to have held onto old wrongheaded habits so long. But that is history now, and after a full year of using the better newer toothpaste it can be reported that this product is superb. Actual experience over a reasonable length of time has indicated the following. A tube of this new vegan toothpaste lasts a long time. Months and months. Its carefully designed viscosity is such that only a small amount extrudes from the tube each squeeze and credit is also due to the appropriately small orifice and the short, thick, fat palm-sized tube itself. Talk about ergonomic design efficiency. The orifice design and convenient flip top tube cap are perfect for minimizing waste and keeping the tube top clean. Not even once in a year did this white plastic cap need to be removed and cleaned. Essentially no toothpaste has been wasted in a year. This is extraordinary fine package design. As for the white toothpaste itself, the texture has excellent mouth feel and the peppermint taste is very pleasing. For those preferring other flavors, alternative options are available. In the toothpaste are finely powdered silica for polishing, “far more natural XYLITOL (plaque/cavity fighter) than all other toothpastes,” and a small amount of fluoride for enamel hardening. IPBN volunteer staff initial resistance was to the fluoride and silica. That is now history too, because over the several years this product has been analyzed and field tested new dental research has occurred which indicate that of all toothpaste polishing ingredients, silica appears to be most effective in removing and reducing plaque build up. And staff have come to realize that silica is not ground glass, but rather glass and powdered silica originate in sand which is simply small grained quartz. Of course everyone knows this, but the word “silica” did not initially resonate well. Our vegan chemist toothpaste manufacturer stood his ground, knew science and fortunately has built up quite a following for his product despite the lag in positive reviews such as this one. Ah, yes, fluoride…. How could mature adults who knocked on doors urging a ban on fluoride in drinking water in Salt Lake City in the 1950s and 1960s come around to accepting a little of this feared chemical in toothpaste…after decades of refusing to buy any toothpaste containing fluoride? It was not easy to come around on this, yet open-mindedness requires tolerance for possibilities and willingness to readjust mental concepts which may be erroneous. Consider that IPBN volunteer staff vegan toothpaste testers grew up in the Panhandle of Texas and eastern New Mexico where well water was calcium, iron and fluoride rich and bones of creatures were known to be strong. There, Hereford, Texas was known as “the town without a toothache” in the 1940s. There too a wise town doctor engaged lanky young strong boned Frank Ford to build Arrowhead Mills to market calcium, iron and fluoride rich Texas Panhandle dryland red wheat and other healthful products. In other words, even people who avoid fluoride get it in wheat grains and other plant foods. And, of all things, it has turned out that seaweeds too are fluoride rich. So, while fluoride fear and aversion is deeply planted, it is possibly unwarranted, irrational therefore unscientific. Isn’t it interesting that fluoride is so feared while iodine is not? Overdoses of either fluoride and iodine, indeed overdoses of iron and calcium – and anything else – can be harmful. There you go, apparently one can consume too much or too little of any nutritional essential and fluoride is an essential element in humans and so are micro-quantities of cyanide and arsenic. Is this wisdom or what? If fluoride rich wheat and sea vegetables, to name just two extremely nutritious and time-tested human foods, are not only healthful but sometimes even therapeutic then what would be the harm of a carefully measured tiny amount of fluoride in a wholesome mouthcare toothpaste designed to be the best possible product. Since this toothpaste has helped to effect the best evaluations from both dentist and hygienist over six months of usage it must be acknowledged that this product has worked well. Nobody is scared of xylitol. Few know what it is. Xylitol is a natural sweetener, not a carbohydrate and therefore not supportive of teeth damaging bacteria, which is extracted from birch tree bark in Scandinavia. Interestingly, xylitol is a super sweetener, a little goes a long ways, and bacteria fighter. Streptococci do not like xylitol. It is used to sweeten foods, sugarless chewing gum, and with salt in distilled water makes an anti-bacterial nasal wash well researched and commercially available. In this toothpaste, xylitol imparts a pleasant taste – not too sweet, lingering nicely after brushing, reducing decay bacteria populations for a good while. The reason this product contains “far more xylitol” than others is expensive for the manufacturer, yet his commitment is to quality and healthfulness so if more is better then the price must be paid. This is one reason this toothpaste costs more per ounce than many others. In actual use, however, IPBN testing indicates this product is very cost effective and actually costs less per day and year than those used previously – including tooth powders which had been thought to be the least expensive. If tooth preservation is a goal of tooth brushing with toothpaste, xylitol is a must ingredient. That’s what the vegan chemist learned while perfecting this product and what IPBN and other plant-based nutrition education efforts must communicate so that everyone can enjoy healthful benefits scientific knowledge. Alas, mercury damaged dentists innumerable have not tried and some may never allow themselves to learn the benefits of xylitol. Why do some who never questioned dangerous mercury cannot bring themselves to try friendly xylitol? What convinced the IPBN testers to give up all other toothpastes and powders was the experience that overnight mouth taste appeared notably better when this product was used. Intermittently it was alternated with other products and every time the mouth tasted better on awakening that with any other toothcare products. Surprisingly, salt and baking soda use at night effected the worst mouth taste next morning. To be fair, it should be pointed out that no other product tested contained either silica or xylitol or fluoride and that they were the standard vegan products using chalk and herbs found on health product store shelves. But, enough already. Why not quit experimenting, just give up and use this new and better performing product all the time? That is exactly what happened and following months of excellent effects and three commendable quarterly dental hygienist inspections of mouthcare there is no longer any reason to be hesitant in sharing this information. Of course, as with everything, individuals differ widely and personal preferences even more. Remembering caveat emptor is always prudent. Any others who experience the first class results IPBN volunteer staff have will never again be without this SQUIGGLE Toothpaste” available through any health products store or co-op or direct by the case and from internet website www.homesteadmarket.com. Every drugstore and supermarket and dentist office should have this product on the shelves, but few do yet. What is needed is national demand and that would be a healthful veganomic benefit to all involved. This product is “Free of irritating detergents such as sodium lauryl sulfate (SLS), which may play a role in canker sores and gum disease.” It is also “Free of stinging flavors, harsh abrasives, artificial colors, preservatives and sweeteners.” Yes, there are “No animal products or testing.” Hasn’t our vegan chemist manufacturer friend done his homework and a very good job? He deserves a, IPBN FIVE STAR ***** VEGAN ENTREPRENEUR HERO, PROFESSIONAL QUALITY AND EXEMPLARY PRODUCT QUALITY AWARD. Edward Cutler, PHD, vegan chemist manufacturer, really cares about you, your teeth and your maximum health. He lives to research and come up with the best possible alternative. Dr. Cutler deserves you interest, encouragement and support. He is a champion who has done his homework and deserves praise. Isn’t it a high order aim to save teeth to chew edible plant foods longer? Might you personally try and put to the test every way you can this super toothpaste and report results to family, friends, dentist, dental hygienist and healthcare products suppliers? Then tell others? Where to obtain SQUIGGLE Enamel Saver Mouth Friendly Toothpaste? Too good to ignore. If you do not find it on nearby vegan product shelves contact: Edward Cutler, president, SQUIGGLE, Inc., Box 813, Narberth, Pennsylvania 19072. TEL: 877-718-0718 or 610-645-5556. He will treat you right and provide education few dentists and hygienists understand. IPBN FIVE STAR*****PRODUCT QUALITY AWARDEE Maine Coast Sea Vegetables, 3 Georges Pond Road, Franklin, Maine 04634. Shep Erhart, co-founder, and the president have spent decades starting and building this veganomics exemplary business since the early 1970s. TEL: 207-565-2907, FAX: 207-565-2144 EMAIL: info@seaveg.com, WEBSITE: www.seaveg.com has a full range of ready to eat certified organic seaweeds in healthfood stores. Dried alaria, dulse, kelp, nori and other sea vegetables are excellent sources of minerals and vitamins, they are effective regulators of bodily functions and taste great. One could obtain 100% of the vitamin B12 Recommended Daily Allowance (RDA) by eating six tablespoonfuls of MCSV dulse flakes. One tablespoonful weighs five grams and contains 17% of the B12 RDA. Everyone needs sea vegetables in the pantry and meals with macro-algae seaweeds are nutritious. Learn from Shep. The great earth ocean is alive and covers two-thirds of the planet. This is a one ocean world with land but a periphery around its borders. No one understands the vast complexities and ingenious design of this global sea, but all with sense respect and hold it in awe. Macro-algae sea vegetables which grow in the great earth ocean are supremely nutritious for humans, tasty and satisfying. Who eats sea vegetables will be filled with essential minerals. To eat sea vegetables is whole to live. “Shep and Linnette Erhart harvested their first sea vegetables on the Maine Coast in 1971 for a few macrobiotic friends. Now more than 40 people participate in sustainable production of 50,000 pounds of Maine Coast Sea Vegetables for international distribution” each year. In the early 1990s, “Shep developed the first national organic standards for harvesting and handling seaweeds. Now he is active in developing sustainable harvest regulations for the State of Maine as part of the Maine Seaweed Council” according to his proud publisher. In 1992, the Erharts continue living the good life on Hog Bay where their personally handbuilt veganomic enterprise, Maine Coast Sea Vegetables serves locally and globally as it leads and thrives. Hurrah for these plant-based nutrition pioneer IPBN FIVE STAR ***** QUALITY ENTERPRISE DEVELOPERS AND VEGANOMIC NUTRITION EDUCATION HEROES. They are the best, they work the hardest, they have given their all and everyone has benefited. Hurrah, Shep and Linette. Hurrah for all who have helped them become the heroes they are. Shep Erhart and recipe design co-author Leslie Cerier have written an aptly titled book, SEA VEGETABLE CELEBRATION. Summertown, Tennessee: Book Publishing Company [Box 99, 38483, TEL: 800-695-2241], 1999. US$14.95. ISBN 1-57067-123-0. Text and graphic illustrations of the various sea vegetables meld beautifully in nicely printed green ink. It is a love letter to all from an expert and Shep Erhart deserves commendation. No book is perfect – on the 163 fact filled pages fault finders will find 26 non-vegan terms which will delight Ovo-Lacto vegetarians. This book is simply too good to dwell on such as these few recipes. It is a 99.99% pure veganic document and very well written and edited. Great resources are appended. A book everyone should own and treasure and use daily. Buy several. Any bookseller in the world can obtain a copy for you, but the dollars will flow quickest to your closest friends and benefactors if ordered directly. Before 2002 ends, every library and every bookstore should have multiple copies of this seaweed bible, a seminal contribution to vegan literature. For all your efforts to help people learn to live and eat well, and this wonderful sharing, thanks, Shep Erhart. Hurrah! You give a lot of love.